We may come across the need to do something bad. Sometimes it helps to repeat our failed attempts at solving a problem. There are two likely reasons to do this. The first is to learn from our mistakes. If we can repeat safely what we did previously that didn't work, we can pinpoint what things didn't work or went wrong. The second reason to do something we know doesn't work is to make notes on what did work and what has to be done in any solution that we choose. In another article, where I talked about how we need to learn something new when we want to do something new, I also pointed out that by finding a way to redo past processes, it becomes easier to execute a new process. Knowing what steps to repeat or things that have to be done because it affects other people, can ease us into a new process. How? It eliminates the concern that we missed something. We get to rid that feeling that we missed something. The real problem is how can we repeat something that didn't work without making a bigger problem? One way is use a tabletop exercise. Tabletop exercises is a favorite tool of emergency response services. First, it's cheaper than trying to replicate a full-blown catastrophe. Second, it provides a way for the leaders of organizations that have different functions and responsibilities to work together while still being responsible and in control of their own organizations. Before we get ahead of ourselves, let's get the basics of a tabletop exercise right. The tabletop exercise is run by a facilitator. In the context of problem solving, this is either us or the person who knows the problem. The role of the facilitator is run the exercise or scenario. We'll get to that in detail shortly. The players are other member your team or other people who are solving the problem together with you. The players will interact with each other and the facilitator as the facilitator brings the group of players through the scenarios of the problem. It's also very useful to have an observer. This person or group is someone who is familiar with the situation or technology or mechanics of the problem but not necessarily part of your team or responsible to solve the problem. Their role is to provide an outside perspective. Observers take note of their concerns or questions but don't participate initially. Once the facilitator finishes with the scenario, the observers can ask questions and present their thoughts and ideas. The observer's role is not just to criticize but offer suggestions that the players may not have thought of during the exercise. To prepare for the exercise, the facilitator must note down the scenario in detail. In our case, this consists of two parts, the description of the problem and the description of the failed attempt(s). The failed attempt must be described in action sentences (e.g. what was done on what) but without the result. The facilitator can prepare one with the results for their reference. Finally the facilitator must note down the goals of the exercise. In this case, one of the goals is to run through a failed attempt at solving the problem to either note mistakes or note actions that must take place in the final solution. The exercise begins by the facilitator describing the goals of the exercise. Then they describe problem. The failed attempt description is given to each players and the player who has taken action or responsible for the first action reads out the action statement and describes the result. Then the next action is read and so on. The facilitator's role is to keep the exercise moving and taking notes related to the goal of the exercise. Discussions will break out, especially when it isn't clear who took what action. Keep the idea of what should have happen out of the discussions while maintaining focus on what did happen. Explain to all that the purpose of the exercise is to reach the failure at the end. Focus on the fact that since the action was taken, someone took it and therefore there is a player that has to go through it. The facilitator can assign a player to take on the role to describe the action and result if the actual person isn't available. However, it is best if that player knows the actions and results themselves. 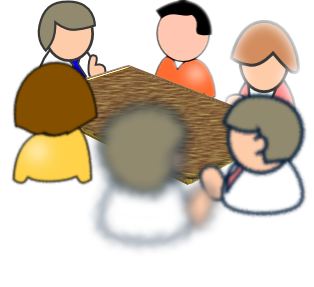 Once the scenario is complete and you reach the point of failure, open the floor to a round table discussion by asking each player in turn. Discussion point related to the goals should be noted. Points related to a possible solution should be noted separately. Finally, the observers should be brought into the discussion to ask questions and present their findings. Using a table top exercise to run through our failed attempts at solving a problem poses several challenge. First the challenge comes from jumping to conclusions or a solution. Possible solutions should be noted and kept for further discussion at the end of the exercise. While solving the problem is the bigger goal, one of the goals of our tabletop exercise is make sure we note what else needs to be done while solving the problem or to note everything that went wrong in it. This is to ensure that while we solve our problem, we don't create new ones. The second is challenge is to refrain from assigning blame. With a failed attempt, the temptation to do so is strong because it may be obvious to some players. Give the assurance that blame doesn't need to be assigned because if it is obvious, it will be obvious to all involved in the exercise. The third is related to denial of responsibility. Some players will content that while they took the action described, they think they were not responsible for the result. Respond by emphasizing that the exercise isn't about judgment but about reliving the past actions. To some degree, the tabletop exercise is a luxury. It can be done if there is time to do it. It can be done if the people involved can spare their time. In reality, tabletop exercises can be done quickly once the players are used to it and not intimidated by it. Like everything else, the first few times will take some time and effort but once it becomes semi-routine and people are comfortable with it's use to solve problems, it will be luxury we can't afford to be without.